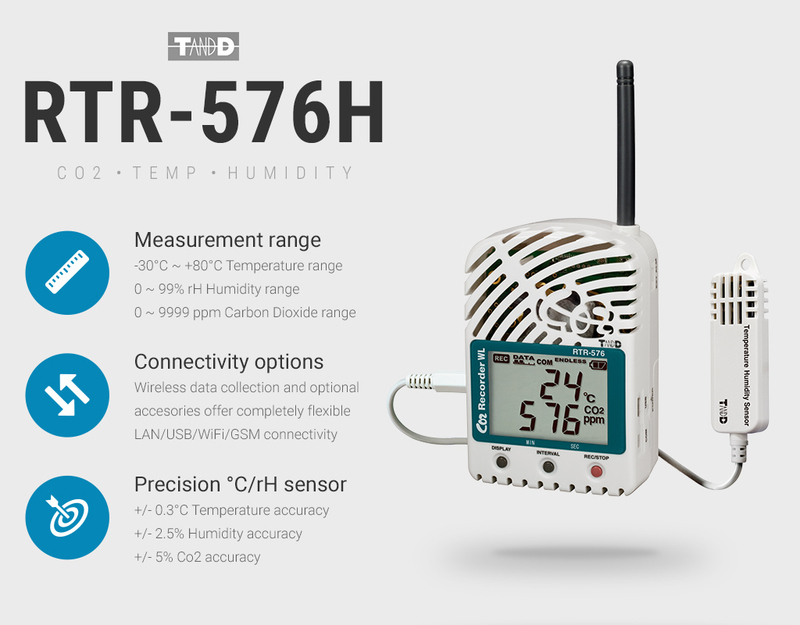 Co2, humidity and temperature wireless TandD data logger for recording temperatures between 0 ~ 55°C, humidity values from 10~ 95% and Co2 from 0 ~ 9999 ppm. 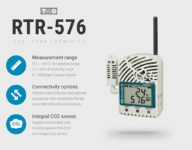 RTR-500 Series: Wireless radio data logger including LCD display, supplied with integral Co2 sensor and interchangeable plug-in THA-3101 °C/rH sensor. 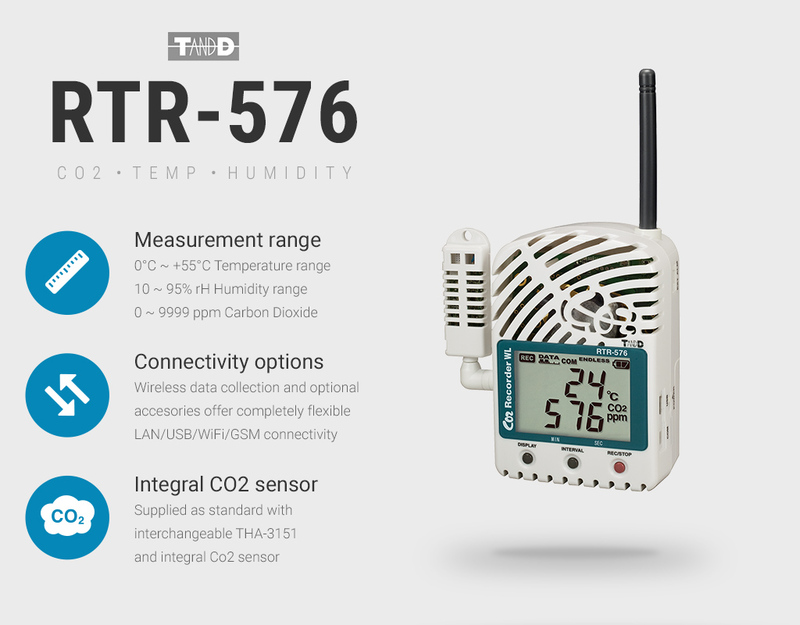 The RTR-576 can measure and record temperature data from 0 ~ 55°C, humidity values from 10 ~ 95% along with Co2 from 0 ~ 9999 ppm. 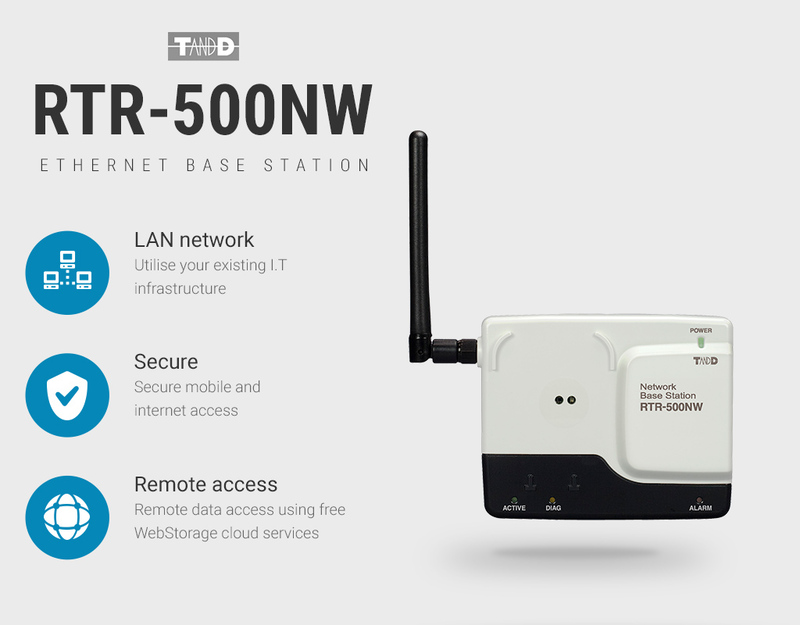 Will interface with any RTR-500 base station. 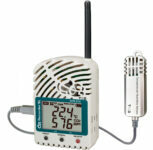 This is a building services solution, designed for measuring and recording working conditions.  Please contact our sales team if you require either a device for safety or a Co2 incubator solution which are facilitated best with different technologies. Simply connect your probe and partner your RTR-576 with a designated base station, select from PC and/or on-line software utilities and monitor your data and alarm status of appliances and environments in real-time. 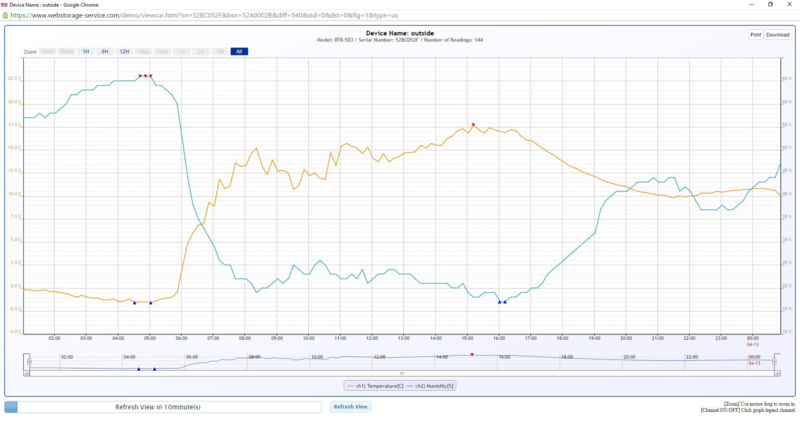 Archived data is retained on your server and on-line free of charge with the TandD Webstorage-service. 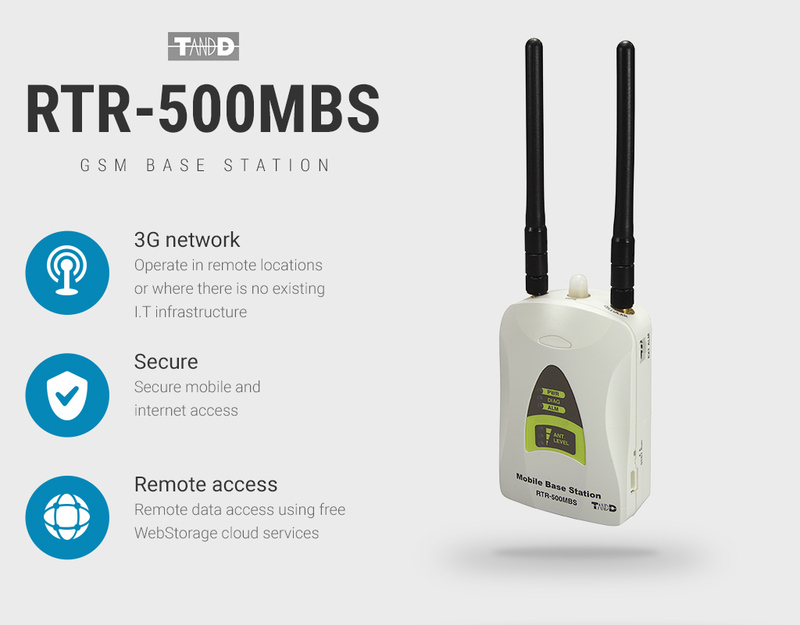 Create a cost effective – local or global – scaleable network of data loggers with flexible access options via LAN/WLAN/USB and even 3G GSM. 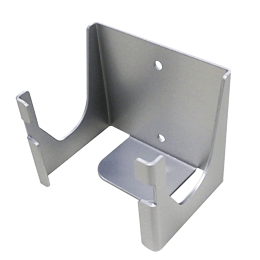 Ensuring your data can be reliably retrieved and actioned irrespective of existing I.T. infrastructure. Supplied as standard with interchangeable THA-3151 and integral Co2 sensor, 4 x AA user replaceable batteries and mains power pack. Optional GxP Validation service including installation. 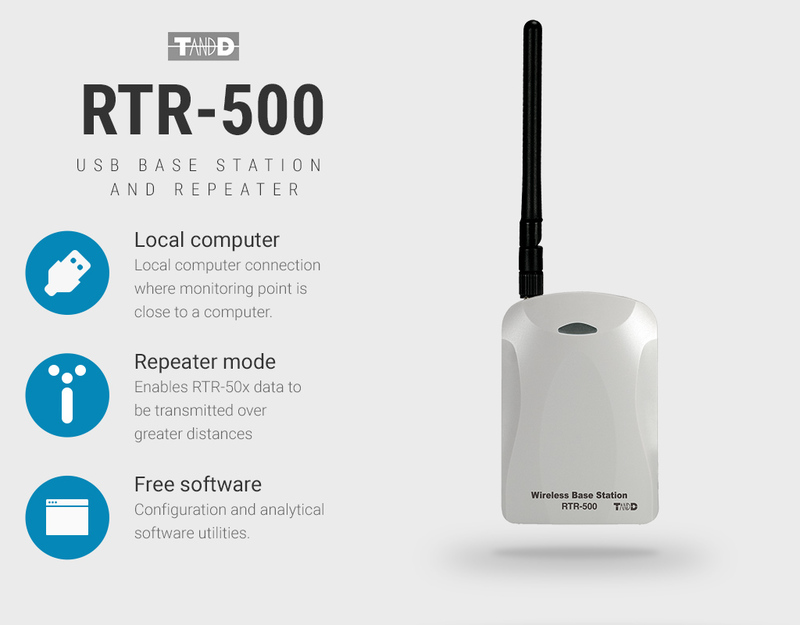 RTR-500 Series Repeater and Base Station with USB connectivity from TandD. 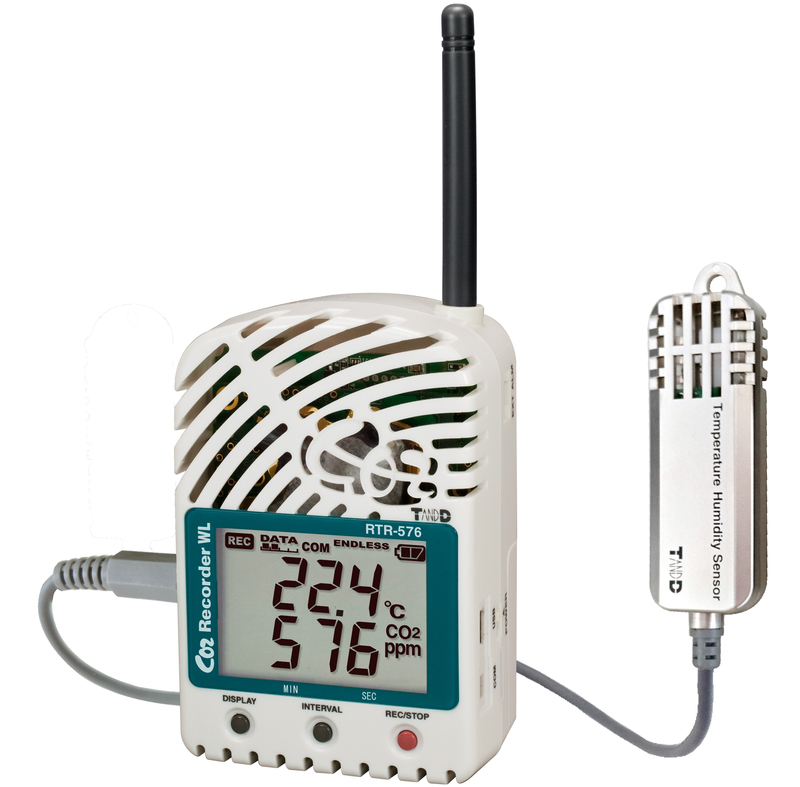 Precision Co2, humidity and temperature wireless data logger for recording temperatures between -30 ~ 80°C, humidity values from 0~ 99% and Co2 from 0 ~ 9999 ppm.